View the all new Spring Summer Collection Veronica Wedding Dress in UK Sizes 8-16. Your dream of a wedding dress in enchanting glamour has arrived to your screens sooner than expected. 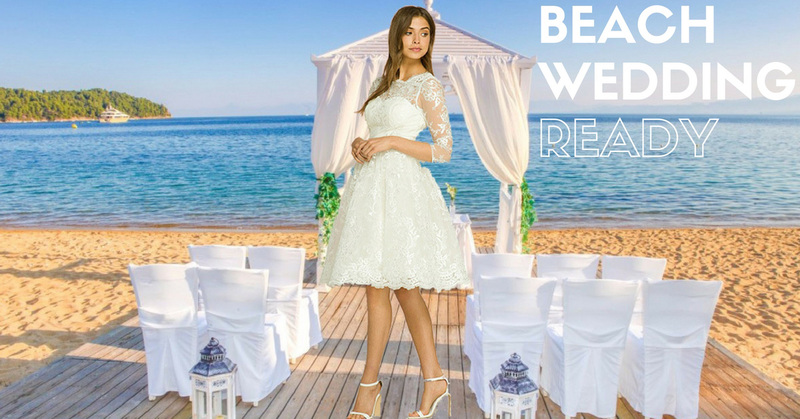 This premium quality 50s inspired wedding dress comes with long sleeve styling and is crafted from a luxurious lace fabric with mesh. The bodice boasts a sensational sweetheart shape neckline adorned with a heavy lace fabric, and comes with built-in preformed cups to enhance the bust line for the most flattering of fits. 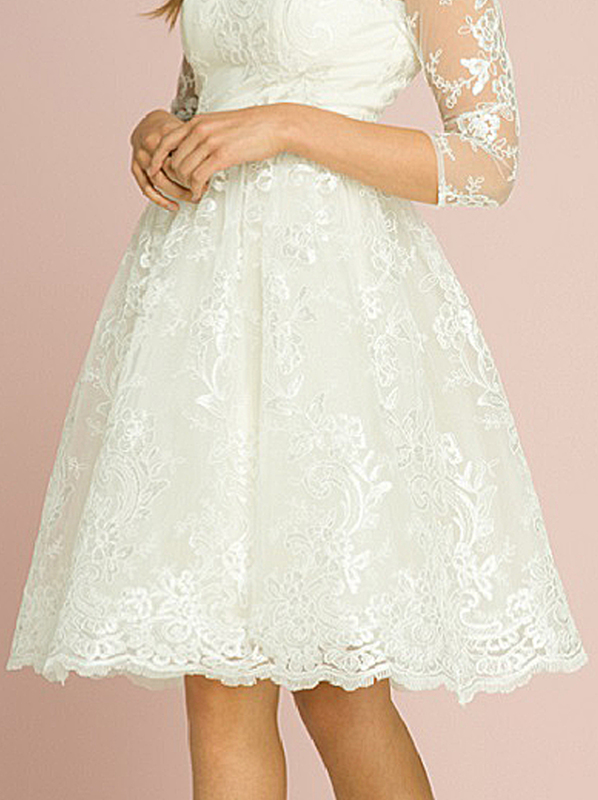 This exquisite dress screams the 1950s era with the signature lace theme which is present throughout, which gives an added dose of feminine flair to this midi length dress. The 3/4 length sleeves are smothered in embroidered lace which makes this super number oh-so sophisticated and vintage chic. The stretch fabric provides comfort and support for a perfect figure flattering cut, and the bodice nips in to the waist, whilst the gentle pleating flows from the waistline to a fairy tale skirt thanks to the built-in netted underskirt. To the back of the dress, it doesn't fail to impress as it boasts a delightful V Shaped back which is adorned with an intricate scalloped edging for a real wedding feel. 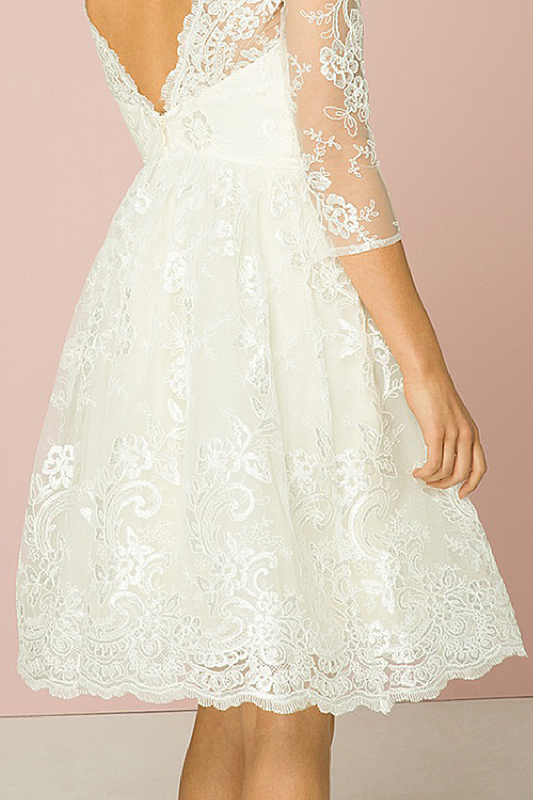 This fabulous wedding dress has a signature A-Line skirt with scalloped edging and falls just below the knee. The beautiful bridal dress is a pleasure to wear and you'll be the blushing bride that'll stand out from the matrimonial crowd with this statement retro-dress.